By Charlotte Beaulieu · Feb. 13, 2018, 9:33 p.m.
By Charlotte Beaulieu · Sept. 29, 2017, 11:29 p.m. In front of the new and final infill house at Totem Park Residence last Wednesday, the Musqueam people, on their unceded territory, gifted a place name for UBC Student Housing and Hospitality Services (SHHS) and students of Totem Park Residence in particular to use. By Charlotte Beaulieu · Sept. 21, 2017, 10:23 p.m. 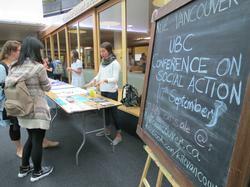 The day-long conference hosted different workshops and discussions that were scattered around many different buildings on campus. Divided into three levels — “Formation,” “Growth” and “Application” — the activities were also tailored to the attendants’ knowledge. By Charlotte Beaulieu · Nov. 2, 2016, 5:31 a.m.
Denis Matsuev returned to the Chan Centre for the Performing Arts on Thursday, October 20 for a performance of incredible quality. It was, without a doubt, one of the most breathtaking piano concerts that I have ever seen. By Charlotte Beaulieu · Oct. 20, 2016, 2:59 a.m.
Have you never heard of him? That's alright — I hadn't either. And yet, Denis Matsuev is often considered to be one of the greatest living pianists of our time. 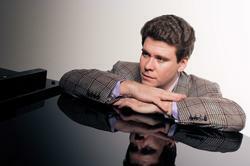 His upcoming performance features works from Beethoven, Liszt and Tchaïkovsky. 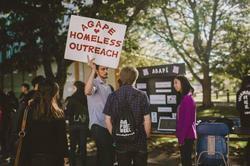 By Charlotte Beaulieu · Oct. 13, 2016, 7:02 a.m.
UBC Agapé Street Missions is a 100 per cent student-run club. As a club, every month they organize different activities such as sandwich making with their partner, the Directions Youth Service Centre, in downtown Vancouver.